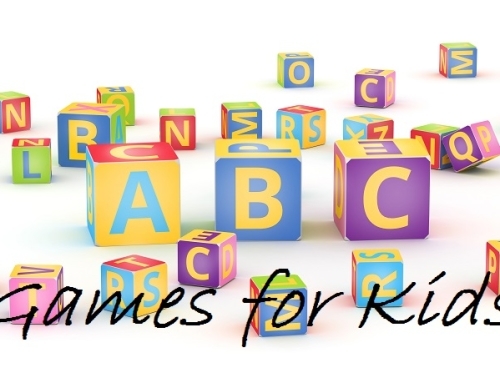 I am now sharing my 50 favorite games for preschoolers. Each one of these games has been tried and tested at the preschool coalface over many years and is guaranteed to be loved by your children. Each of the 50 games is accompanied with an explanation of the learning outcomes that flow from playing, as well as a few extra tips thrown in along the way from me. Big group, small group, circle time, indoor, outdoor – all the games are here! Parachute games are energetic, fun for the children and aid spatial awareness, as well as gross motor skills. They encourage working together as a team and invigorate imaginary play. Parachute games can be used both indoors and outdoors. They are an excellent way of getting children to move on wet weather days. Soft balls/teddy bears etc can go for a ride on top of the parachute. And they’re guaranteed to generate laughter and engage quieter class members who might be hesitant to join group activities. Ideally played with a partner or in a small group, the children can work together to create paper planes and then practice their aim – perfect for developing an understanding of math, especially distances. An old classic that I’m sure you played as a child! The children sit in a circle and one child walks around the outside of the circle gently touching each child on the head saying “duck, duck, duck”, etc. The child selects when to say “goose” – the nominated “goose” jumps up and chases the first child around the circle until they get back to the original spot. The second child then becomes the caller. It is also a good outdoor game, but requires space for running. The children have to follow the game’s rules and practice their decision making, turn taking and fair play skills. Place a hula hoop on the floor with a ping pong ball inside. Two children then work together, each using a straw, to blow the ball to each other. This game encourages teamwork and an understanding of science fundamentals, such as motion and mass, as well as the importance of taking turns. cups then form the basis of a guessing game, as each child smells each cup one by one and guesses what they contain. Each cup can be accompanied by a picture, which they see afterward to enable them to self-correct. Alternatively, you can provide a picture of each food item, but in the wrong order, and allow the children to match the picture to the appropriate cup. This exercise is to develop sense of smell, with the children drawing on their personal knowledge and descriptive language. This game could be extended as a tasting experience using blindfolds. Children can experience sweet, sour, bitter and salty foods. Be sure to keep allergies in mind before undertaking this extension activity. These races are good for co-ordination, perseverance and working together in pairs or in a team. It is fun and exciting and the children need to work out the speed they can travel to finish the race successfully! Look who comes here, Punchinello little man. What can you do, Punchinello little man. We’ll do it too, Punchinello little man. The children stand in a circle. One child is in the center acting as Punchinello. ‘Punchinello’ can be dressed as a clown if you wish. Punchinello skips around the circle while the other children sing the first verse. In the second verse, Punchinello performs an action, e.g. dancing, juggling or clapping. In the third verse, the children mimic that action. This game promotes imagination, observation, cooperation, confidence to be a leader. It’s an active game with the children making the decisions and develops skills in listening, language and role play. Create fish cut outs from cardboard, laminate them to make them more durable and attach a paper clip to each. You can be as creative as you like making an ocean (using, for example, blue cellophane). Using a rod with a magnet on the end the children can now go fishing! The fish can be colored, numbered or you can create different sea creatures. The children can take turns and count the fish everyone caught. This game is ideal for colors, numbers, hand/eye coordination and counting. remove the upper panel of the box. Use a tennis ball or similar. The children stand around the box, holding it up and work as a team to keep the ball moving, but not falling out of the box. This game is great for team work, spatial awareness and physics fundamentals. 10. Isn’t it Funny, How a Bear Likes Honey? “Isn’t it funny how a bear likes honey? I wonder why he does. ‘Mr Bear’ is listening for where the bell sound is coming from. Mr Bear then crawls over (like a bear) and asks the selected child “Do you have my honey pot?” The child then responds either ‘yes’ or ‘no’. Fair play is necessary for this game – the children need to keep the stolen honey pot a surprise. Listening skills and following directions are essential to this game and all children participate through the rhyme. This classic game is great for listening skills, following directions, coordination and learning body parts. One child, or their teacher, provides instructions, such as: ‘Simon says: touch your nose!” and the children follow. This can also be a great way of getting children moving around. “Who took the cookie from the cookieeee jar? *Jill* took the cookie from the cookieeee jar? You can have a little cookie jar – set up the scene! The children are learning and recalling a rhyme. They are learning each other’s names. They also need to remember who has had a turn so they can pass it on to someone new. For the less verbal in the group they can shake their heads and point, instead of verbally joining in the rhyme. It’s a good way to ensure everybody gets involved. This fun, well-known dance with familiar music is sure to get all the children up having fun. It’s active and when played as a circle game promotes cooperation and coordination. The children learn consideration of personal space, identification of body parts and action sequencing. Later, when children are ready you can introduce the concept of left and right. Hide a variety of items that the children will identify with in the sand trough. The children close their eyes (or use an eye mask!) and search for the items. The idea is that they can feel and describe what they are feeling before they look at or name the item. You can provide a treasure box so the children can collect their discovered treasures. Ask open ended questions to encourage vocabulary development. For further turns, the children can help hide the objects too. This can be played as a small group or in pairs. It’s a great sensory activity. You can also try using wet sand to explore different textures with the children. A child crouches down inside a large cardboard box. If it is too dark with the flaps closed, a light cloth can be placed over it as the lid. The other children sing the rhyme quietly: “All is quiet, down in his box until someone opens the lid.” A child comes over to remove the lid and the child inside springs up. extend vocabulary, or quieter children can perform an action instead. This game encourages imagination, taking turns and exposes children to the concept that there is something there – even though they cannot see it. A well-loved party game that is known to young and old. It’s great fun, always ensures a lot of laughs and gets the children to use their senses other than vision. To play, you just need a picture of a clown’s face (with no nose) or a donkey (with no tail) stuck to the wall and then, blindfolded, the children take turns to place the nose or tail on the picture. Two children hold hands up high to form the arch of the bridge. The other children line up and proceed under the bridge as everyone sings the verse. their arms. The caught child will then decide which side of the bridge they will stand behind. Depending on space, the children’s preferences and safety, you can then play a tug-of-war between the teams. other and is an active game. We’ve gotta go throught it! This is an action-built song, where children can physically dramatize the words. Props can be used to assist the drama. ‘Going on a bear hunt’ can be performed inside or outside. This game has a suspenseful and dramatic conclusion that children love. The children learn a sequence of events, expand their vocabulary and use expressive language, which they can exaggerate with the tone of their voice. It’s a good game for the whole class to participate in, which takes them on an exciting, imaginative adventure. You can always change the type of hunt you are going on, too; I always find a dinosaur hunt to be very popular! 19. Crocodile, can I cross the river? Set up a pretend river, you (and maybe a few children as helpers), role play as the crocodile. This helps the children to take turns and practice their observation skills. 20. Listening to Sounds – What’s the Sound? One variation of this game that works well is to make a 3×3 ‘bingo’ board with these images, and let the children put counters on the board, covering each picture as the appropriate sound is played. It can be a lot of fun to have children working in groups on this activity. This game encourages cooperation, taking turns, language and listening skills. The children stand in a circle and one child begins counting around the circle – 1,2,3,4,5,6,7,8,9,10 – then ‘Buzz’ to child number 11 and ‘Off’ to child number 12. The child who receives ‘Off’ i.e. child number 12, sits down. The next child in the circle (i.e. child number 13) is number 1 in the next round of counting. The game continues until there is only one child remaining. This game is great for counting, listening skills and following directions. have a steering wheel or can make up a steering wheel from your recycled materials. One child can play the role of the driver. You can either have set roles (e.g. some children as babies, some children as grannies, etc. ), or all the children can play all the roles. This is an activity that you can leave up for the children to revisit and self-organize. It is a good social game with the children working together in a small group or as a class. There’s no reason why you can’t change the verses and make up your own sounds. Play on words such as “swish, swish, swish”. Role play is a great way to build confidence in a non-threatening way. You can always add more chairs or make it a smaller bus if need be. 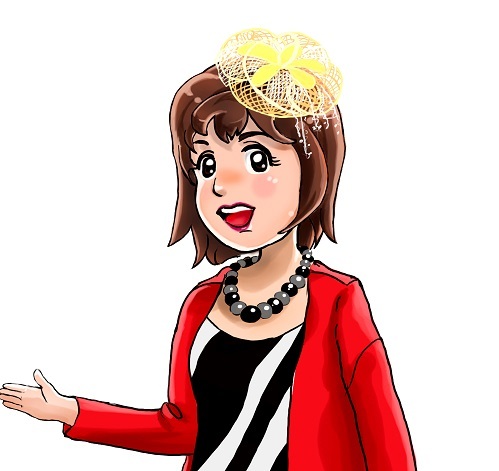 If you would like to extend on this you can always add dress up clothes. This is an echo song, where the teacher says the first line and the children repeat. As they become more familiar with the game, the children can take on the teacher’s role too. This game can be a lead-in to a science experiment when you are out in the sun. Use it to experiment with the way our body moves and the way our shadow looks. If you do this exercise on concrete or asphalt, you can also use chalk to trace around the shadow. You can also look at ways that you can make your shadow bigger or smaller, and consider where the sun needs to be to give attributes to your shadow. It’s an active verse, with the children using their imagination and contributing their ideas to the type of movement; for example: stretch, jump, shake, dance or wiggle. It’s good to over-exaggerate the movements too. This game also encourages comprehension and the use of action words. 24. Doggie, Doggie – Where’s Yours Bone? squeaky or plastic dog bone. Another child goes and picks up the bone. Every child puts their hands behind their back and the child with the bone squeaks it. The ‘sleeping dog’ child wakes up and then has to identify who has taken the bone by listening to where the sound is coming from. Create riddles for the children about animals to help their listening skills and vocabulary development. For example, I am tall, I have four legs, I eat leaves off the tree – Who am I? This game is great for imagination and reasoning, as well as expanding the children’s verbal and comprehension skills. There are dozens of great card games, but my personal favorites are concentration, snap and dominos. the most cards at the end wins. until one child has all the cards. Dominos with playing cards is an adaptation, whereby children can build off each card placed on the board with a card either one number higher, or lower, than another card on the board. Card games reinforce turn taking, cooperation, fair play, resilience, memory, recall, language and listening. Children can also be creative and make their own set as a craft project. Make sure you have room for running for this one! Set two separate areas. One area is designated as the ‘ship’ and the opposite area as the “shore”. When you call out “ship”, the children run to the ship area, and vice versa. You can add in other instructions like “Captain is coming” and the children stand tall to salute. For “clean the deck” they pretend to scrub the floor. “Set the sail” children pretend to pull a sail up. Mix all these instructions up, in no particular order. 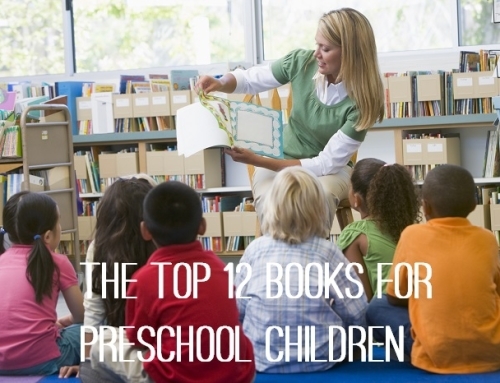 As the children become more accustomed to the directions and can recall them, speed them up! As an extension, the children can take turns as the one giving the directions. This game concentrates on listening, following and recalling instructions. It’s also an active game to burn that energy! The children have to take care of each other and be aware of personal space, so it’s also great for social skills. Dozing in the midday sun. Comes a friend, run, run, run. The “Kangaroo” is sitting in the middle of a circle, pretending to be asleep. Another child comes up from behind and says, “I caught you!” The “Kangaroo” then guesses the name of the child that caught him/her. A new kangaroo is then nominated. with clues, for example, this boy likes to play with fire engines. This also helps increase vocabulary and can get the rest of the class involved as they have to think of clues to give the “Kangaroo”. “Round and round the garden, like a teddy bear. This is a game from their toddler years that most children would be familiar with. Children can act it out independently or working in pairs to trace a circle in their palm or their friend’s palm. They continue to act out the rhyme by using their fingers to “take one step, two steps” up their arm and then pretend to tickle each other. The children have to cooperate, be gentle and considerate. There is a little counting and rhyming, and the rhyme makes them aware of their body and shapes (i.e. round and round). It is a simple game that can be used as a transition activity. Someone must have picked it up and put it in their pocket. words “dropped it” they place the letter behind a child. At the end of the verse, the children look behind them to see who has received the letter. the original spot. That child sits down and then the child that received the letter starts the game over. Before this game starts you could incorporate a writing activity. Decide with the class who you want to write the letter to. If it is for Mom, a child in the group may be able to write the word “Mom”. Also introduce the concept of folding a letter so that it fits inside the envelope. This is a gross motor game with running skills, stopping and chasing. The children need to listen to the words of the song so they know when to drop the letter. They need to recall who has already had a turn, so that everyone gets a fair share. It is also a pre-reading activity. The two selected children act out the sequence at the front of the class. This is a simple action rhyme that can be used as a transition to another activity. If it is used for a transition then leave out the “come back” lines. It’s also a nice way to learn each other’s names at the beginning of the year. In addition, you can talk about what parts of the body you can use to fly away. It helps to develop confidence to be out the front of the class with the support of a friend and not requiring a verbal response. Children can be creative in their movements, exploring different concepts of fast/slow and high/low. Children are also learning to pronounce their friends’ names. men. The children sitting on the chairs are the ‘Humpty Dumptys’. The King’s men are to the side. The audience say the nursery rhyme, while the ‘Humpty Dumptys’ role-play the rhyme. They particularly love falling off the chair! This activity encourages role play, confidence, comprehension, action and working together. In addition to rhyme, you are teaching the concept of falling and can associate that with the sound of the voice saying ‘fall’ in a dramatic way. Some of the children in the audience can have some musical instruments to make the ‘fall’ sound. Other children can make the sound of the horses, using other musical instruments. Now – we – STOP. This can be substituted with any animal, and their movement. For example, dog and ‘dig’, dinosaur and ‘stomp’. The second verse can be prolonged as long as you like so that the children can have some downtime and be ready for the action that follows. The song is repetitious so the children catch on quickly. If you have a large group, you will need space so that the children can move around – the game can be played outside, or with the lights out inside to set the mood. This is a movement game. Children are practicing different gross motor skills according to the animals’ movements. Children need to listen so that they know when to respond, and also exercise spatial awareness as the other children are moving around at the same time. Rhythm sticks have always been popular with children. This can be a standing or sitting activity or even alternate between the two. Routines should be simple, repetitive and fun. There are various CDs available on the market that can accompany tapping stick games. They are available in a variety of languages. Tapping stick games are great for teamwork, rhythm, eye hand coordination, pitch and spatial awareness. They introduce the concept of fast and slow, which is a pre-math activity. The children need to follow instructions, concentrate and practice their listening skills. 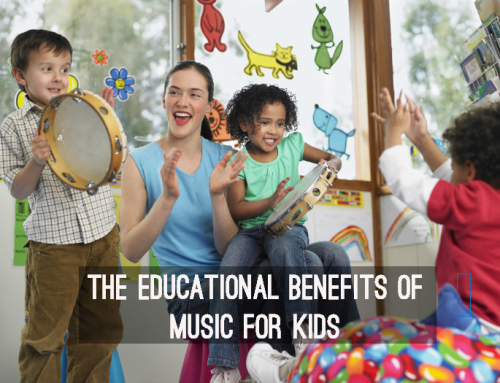 This game can also be a great opportunity to expose the children to different styles of music. continue until they knock all the pins down, or the children can take it in turns for each roll. The children encourage and cheer each other on. Hand/eye coordination is developed, as well as an understanding of speed of the ball. Before you begin, discuss and demonstrate rolling the ball as compared to throwing the ball. This game involves one child role playing or dramatizing an action or object, without speaking. The other children have to guess what the child is acting out. Charades can be done in pairs to encourage co-operation, particularly for the less confident children. 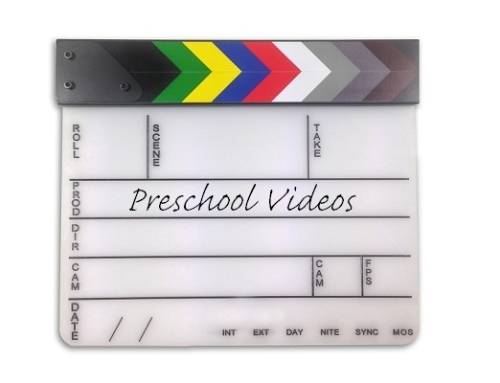 Children can have free choice to act out what they like, or otherwise a picture card can be used for inspiration. Charades encourages confidence, imagination, draws on previous knowledge and asks for audience participation. children can then remove the cover and take turns to recall the missing item. This game encourages taking turns and fair play (by only responding when it is their turn). Memory, recall, language and visual skills are all utilized. 38. What’s the time, Mr Wolf? One child (Mr Wolf) is standing alone with their back to the rest of the class. The rest of the class stands in a parallel line, a few yards away. The class calls out “What’s the time Mr Wolf?” Mr Wolf turns around to call back a time, let’s say “3 o’clock”. The other children then take 3 steps forward, towards Mr Wolf. This process continues until at some point, Mr Wolf calls out: “dinner time!” Encourage Mr Wolf to do this when she/he senses the class is in close proximity. Mr Wolf then chases the children until one is caught. The caught child joins Mr. Wolf. Having multiple Mr. Wolves at one time works well for a younger group of children, as the waiting time to become Mr. Wolf is shorter. Alternatively, the child who is caught can then become Mr. Wolf. This game hinges on the children working together, following instructions, being cooperative and taking turns. It is a physical game that can be played outdoors and is great for burning energy. The simple, catchy phrase involves all the children. This game promotes a leadership role for Mr Wolf, and an awareness of numbers and the clock times. The children learn to count together in a fun, non-threatening environment. When children are old enough to have good control and direction, they can then throw a beanbag onto a number, beginning at 1 and working upward each turn. The child then hops and jumps according to the pattern to the beanbag, picks it up and turns around and hops back. Another variation is for the child to be given a number to aim for when they are throwing. Hop scotch introduces children to written numbers and is an excellent gross motor activity for hopping, jumping and balancing. It can be played in small groups among friends, with the children encouraging and cheering each other on. Hand-eye coordination is developed as well as throwing skills with strength and direction. A well-loved party game. To begin, you need the same number of chairs as the children playing the game. After the introduction, take a chair away. must always be one more child than the number of chairs). As the child goes “out” they can still be part of the game by playing musical instruments to accompany the music. Children have to use their listening skills, team work, cooperation and fair play. Observation skills to see where the empty chair is. You can always change the movement to add variety; e.g. walking sideways, crawling etc. “Run little pinecones, run, run, run. Run little pinecones, run, run, run. child stands under the arch as the pinecone. run around freely, the trees do not move. On the final verse, the pinecones find a new tree. This game encourages memory, imagination, gross motor skills, cooperation, turn taking and teamwork. You need lots of room, depending on the number of children running. It is usually best to be played outside. This game involves the children working together as a team. It can be played in pairs with one balloon, or as a small group with one or more balloons. The children can be involved with the preparation, aided by the use of open ended questions as you blow up the balloons. Some opened ended questions could be: How do we make the balloon bigger? What do we use to make the balloon bigger? To help children understand, get them to blow air into their hands. Count the number of breaths used to blow up the balloon and then make comparisons when blowing up two balloons as to the different sizes. Add a little excitement by letting go of the balloon before it is tied. Encourage the children to tell you the steps, for example, you need to knot the balloon when it is full. This game promotes teamwork, science experimentation, spatial awareness, hand/eye coordination, cooperation, language, mathematics concepts and problem solving. 43. Who’s Hiding Under my Blue Blanket? Who’s hiding under my blue blanket? All the children crouch down with their eyes closed. You walk among the group, as everyone is singing, and put a blanket over one child, who stays still. On “let’s have a look” everyone gets up and works out who is under the blue blanket. For this game to work, the children need to be familiar with each other. This is a logic and deduction game; the children need to be problem solvers, looking around and trying to recall who is at preschool today. The children are using their senses for this game. It encourages problem solving, memory, language, cooperation and listening. Start with one attribute so that there can be more than one possible answer. As they develop these skills you can add two attributes; for example, ‘wearing blue and has socks on’. Alternatively, it can be an object in the classroom, rather than a child. This activity for problem solving, visual discrimination and working on different concepts like colors and patterns. The whole class can work together to solve the riddle (in a considerate way, listening to other children who are offering ideas). I spy can be played inside and outside for different experiences. One child (or a few) can hide either themselves or an object, while the other children count with their eyes closed. When they get to a certain number they go looking for their friends (or the object that was hidden). An extremely fun game reinforcing taking turns and patience. It encourages children to explore their environment, as well as thinking about possible options. Basic math/language concepts are also involved – looking under, in, behind etc. This is an active circle game that children may be able to recall from their toddler years. This one is a good choice to introduce children to circle games, as well as the concept of walking in a circle in two different directions. The children walk in one direction holding hands and singing the rhyme. On the words “we all fall down” they act it out. The children again hold hands in a circle and go in the opposite direction. It is a simple verse that children can recall or learn. It’s active and fun and can be played indoors or outdoors. The children learn directionality and how to walk in a circle cooperatively. As an extension, they can make up more verses that are relevant to them. Place different textured items in a closed box. Cut two holes next to each other so that children can fit both hands into the box. Children then use their hands to feel and describe what they are feeling. The idea is to describe the object, rather than name it. Suggested items include: a pine cone, a ball of dough, cotton wool, bubble wrap or ice cubes. This game is for expressive language and tactile experiences. It draws on the children’s personal knowledge. If something is new to them they have to be confident to jump in and describe what they feel. Merrily, merrily, merrily, merrily, life is such a dream. If you see a crocodile don’t forget to scream. For this game, the children work in pairs, sitting on the ground with their feet touching. Holding hands, the children rock forwards and backwards while singing the song. On the second verse they love to add a squeal! The children can also make their own verses about what else they’d see in the river. This game helps the children to work in unison. You can encourage their vocabulary and imagination when developing verses about what else they can see in the stream. children don’t have to be sitting in pairs; with a large group you can construct a boat out of blocks. Children can think about what they can use as an oar from their recycling materials. This encourages the whole class to work together. “The little grey ponies looked out of the barn. They want to go out to play. The little grey ponies jumped over the fence and gallop and gallop away. And gallop and gallop away. And gallop and gallop away. The rest of the children are singing and clapping to the words in a gallop rhythm (if they are able) or just clap. Tapping sticks can be used to imitate the ponies’ hooves. The children need room to be able to gallop around. This is a great gross motor exercise, with the children galloping. It also enhances coordination, rhythm, acting, imagination, cooperation and taking turns. Each child has a game card, and marks off each item or number as it is drawn. Once a child either completes a row, or an entire card, they yell “Bingo” and win the round. This can be played using a commercial version or you can make your own. Pictures, symbols, letters or numbers can be used. This game encourages cooperation, turn taking, listening and following direction. Once children have an understanding of it, you can allow a more confident child to be the caller.